I have wanted a really dark, action filled and serious Tomb Raider game for quite some time now, little did I know that in the year of 2013 my dream Tomb Raider game would become a reality. Lara and her crew are on a Research Vessel called the Endurance, Lara and the crew are looking for the Lost Fleet of Kublai Khan. 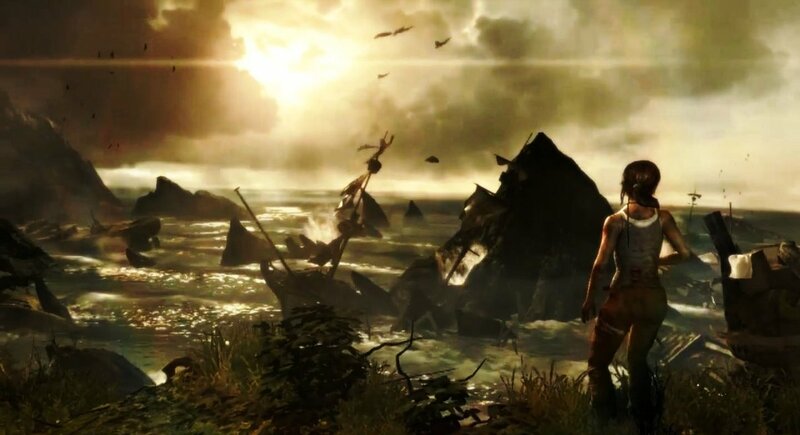 When Lara notices an island in the distance she tells her crew that she wants a closer look, upon approaching the Island the Research Vessel is split in half separating Lara from the rest of the crew. Lara goes searching for the rest of her crew and she eventually finds her friend Sam who is sharing the heat of a fire with a man called Mathias. Lara falls asleep and awakens to find both Sam and Mathias missing. Later on Lara discovers that Mathias and a bunch of other men have Sam captive and plan to use her as a sacrifice to Himiko the sun queen. Himiko’s soul is transferred to different females generation to generation, when one Himiko gets old or dies her soul is then transferred to the last chosen Himiko, Sam is the female chosen to be part of the soul transfer ceremony. Also some mysterious force is preventing Lara or anyone else from leaving the island. 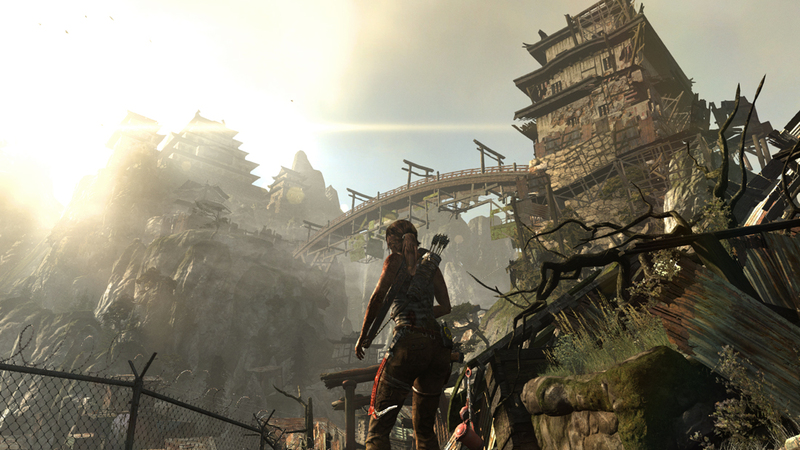 Lara’s new mission is to find the rest of her crew, rescue Sam and to discover the curse preventing them from leaving the Island. 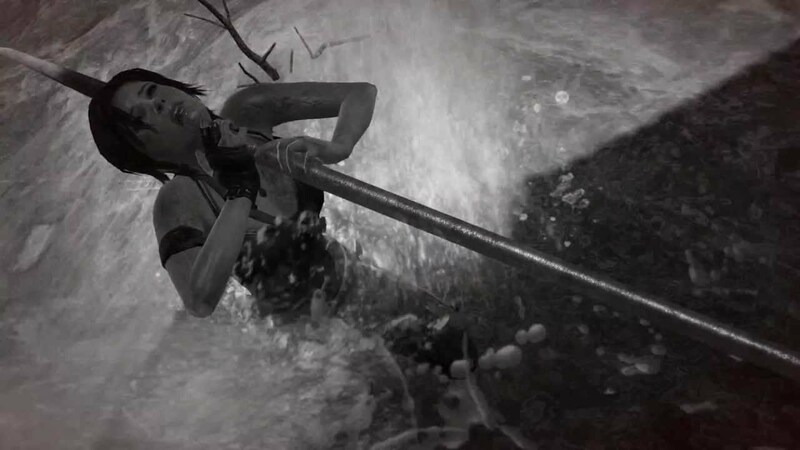 Tomb raider has such awesome game play, Lara will find multiple tools and weapons through out her adventure such as pickaxe which will allow her climb mountains, rope which she can shoot from her bow to bring down doors and to help her get to hard to reach areas. As well as useful tools Lara is also carries a pretty kickass arsenal of weapons this includes a Bow and Arrow, Hand Gun, Shotgun, Assault Rifle and a Grenade Launcher. 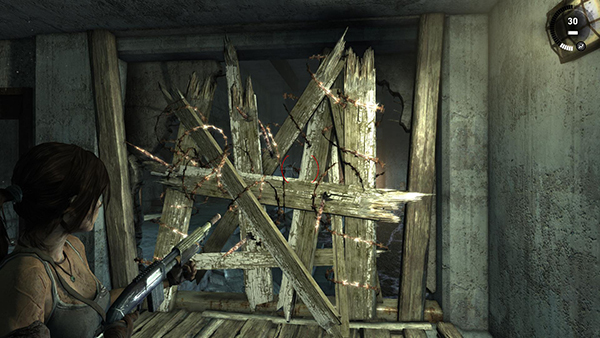 Each weapon has its own uses the shot gun can be used to destroy wooden barriers that may be blocking your path, the grenade launcher can be used to blow up metal doors and the bow and arrow has multiple uses such as setting fire to wood and explosives and it also helps Lara to use the rope to more of an advantage. 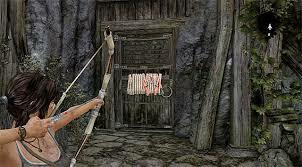 By far the most useful weapon is the bow and arrow not just because it has multiple uses but it can also be used to take out enemies quietly, if there is a group of enemies Lara can shoot an arrow at a near by wall, this will cause some of the enemies to search away from that area leaving just one poor guy to be killed without anyone else noticing. 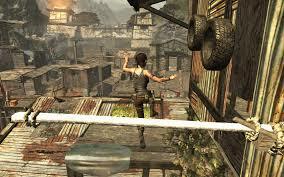 When your not sneaking around and killing bad guys, Lara will stumble across some unfortunate environmental hazards these can include Lara falling into a fast flowing river and having to avoid any obstacles in order to survive, or she may be running across a bridge which is quickly falling to pieces beneath her feet. One of my favourite parts of the game is about half way through Lara is using a parachute and has too avoid trees so that she doesn’t get injured. As well as this the game controls perfectly, I played on keyboard and mouse and found no difficulty getting use to the controls what so ever, I even played a bit using an Xbox 360 controller and again the game controlled perfectly so no complaints for that. I do however have one complaint about the game play, There are way too many quick time events in this game, I don’t mind a couple but at least 50 percent of the game play requires them and it really gets annoying after having to use the same quick time events for the same things over and over again through out the game. 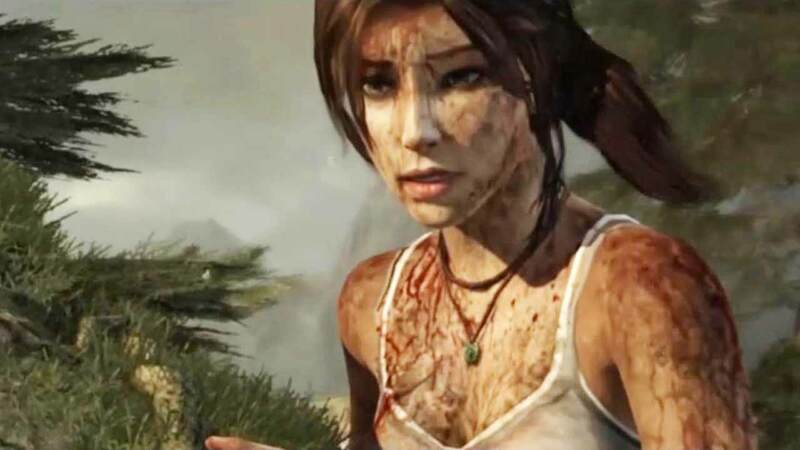 Now as it is a Tomb Raider game you will be pleased to know that there are loads of hidden tombs that Lara can raid, when in these tombs you will usually be faced with a puzzle or two before you are able to reach any treasure that hidden within the tomb. 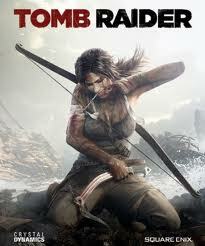 As well some awesome game play, tomb raider also has a really awesome soundtrack, the music is all orchestrated and it sounds beautiful a lot of the time the music made me wonder if it was composed by John Williams because the music really sounds like something out of an Indiana Jones film, as you can tell this suited the game quite nicely. A beautiful soundtrack needs some beautiful visuals to go with it and let me just say you wont be let down with the way the game looks. Everything in the game looks amazing and you can tell that the developers really went a long way to make this game as breathtaking to look at as it is to play. First of all Lara’s new character model is so freaking cool, she has this really awesome roughened up look to her that just says “stand in my way, I dare you” but she also doesn’t look like a complete killing machine which allows the player to sympathise with her character. 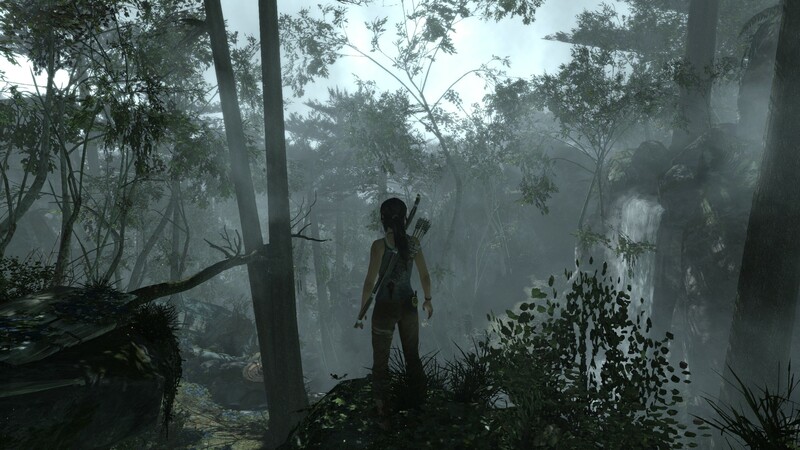 Seriously the graphics and visuals in Tomb Raider are amazing, the game would often play a cut scene and when it returned to game play I wouldn’t move for a minute because I thought the cut scene was still playing, yeah the visuals are that good. 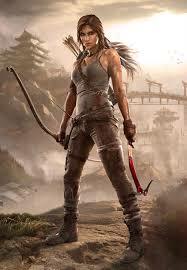 Tomb Raider was an incredible game, this is by far my favourite Tomb Raider game ever and it’s also the only Tomb Raider game I have enjoyed enough to actually finish, It has flawless controls, really awesome game play, breathtaking visuals and a beautiful soundtrack, the only problem is the constant quick time events and I really hope they work on those for the sequel.